Ok so the Pantone colour of the year was announced ages ago, but that hasn’t stopped me putting together some of my favourite ideas for this super cute colour palette. Done wrong and there is a chance you could end with something looking much more akin to a baby shower, but done right and you could have yourself a pretty funky, retro kitsch theme going on. 1. Pantone Inspired Wedding Cake. As always, let’s start with cake, because that’s how all good stories start, right? 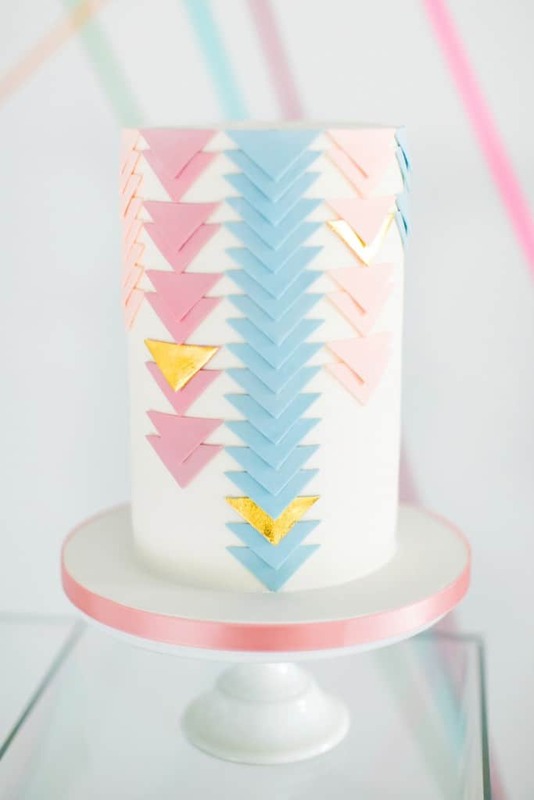 Rose quartz and Serenity are two of the sweetest colours when paired together so why not make them even sweeter and add them to your wedding cake. 2. Pantone Inspired Bridal Wear. If you’re looking for way to wear this years favourite colour then why not add a pretty pink tulle skirt underneath your wedding dress and pair with these gorgeous blue shoes. Swoon! 3. Pantone Inspired Accessories. If you would rather a more subtle way to add colour, match these cute heart earrings with a bold veil. 4. Pantone Inspired Makeup. This really is one of those things you have to get right otherwise you could end up looking more like Barbie. Use barely there pink lipstick and just a strike of blue on the eyes, to create this fabulous bridal look. 5. Pantone Inspired Nails. Alright so this might be more for everyday than wedding day but I just had to include this manicure in here. This will definitely make your nails pop! 6. Pantone Inspired Favours. These cute favour ideas are some of my favourite yet and I bet your guests will never have seen anything like them before. 7. Pantone Inspired Stationery. We can’t think of a better way to use this years colour than on your wedding stationery. This ombre effect is all kinds of perfect! In love with this post, fab!! !